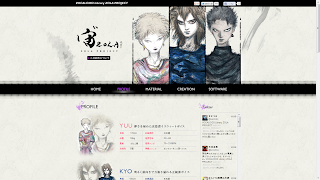 ZOLA PROJECT website has finally opened, do check it out! Details regarding the three vocaloids, YUU, KYO and WIL have been revealed in the 'Profile' section, not to mention various interviews regarding the creators of this trio have been put up at the site. Also, an official Twitter account has been set up.